Hamilton: In a season of many firsts for the Indian cricket team, Rohit Sharma's men will be aiming to become first among the equals to win a T20I series in New Zealand when the two sides clash in the final match in Hamilton on Sunday. The past three months have made for a memorable phase for India, who won their first Test and bilateral ODI series in Australia followed by the biggest one-day series win in New Zealand. A first T20I series victory in New Zealand will be the icing on the cake for the 'Men in Blue', who have so far exceeded expectations during their three-month sojourn in this part of the world. The stand-in captain, who is now the world's top run-getter in T20Is, will like to better the 29-ball-50 of the previous match, which can well spell doom for the Black Caps. Skipper Kane Williamson has endured a quiet limited-overs series by his standards and senior batsman Ross Taylor has also blown hot and cold during the last three weeks. 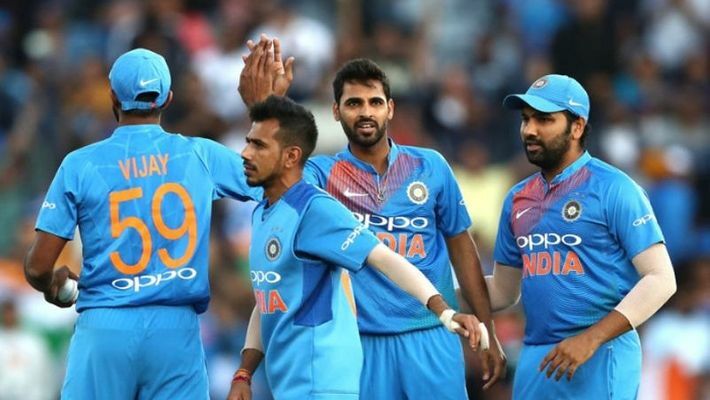 India: Rohit Sharma(captain), Shikhar Dhawan, Rishabh Pant, Dinesh Karthik, Kedar Jadhav, MS Dhoni (wicketkeeper), Krunal Pandya, Kuldeep Yadav, Yuzvendra Chahal, Bhuvneshwar Kumar, Siddarth Kaul, Khaleel Ahmed, Shubman Gill, Vijay Shankar, Hardik Pandya, Mohammad Siraj.